South Georgia Tormenta FC and adidas have announced an official long-term partnership, bringing together two influential United States soccer brands. Through this partnership, adidas will be the official apparel supplier for the franchise based in Statesboro, Georgia. 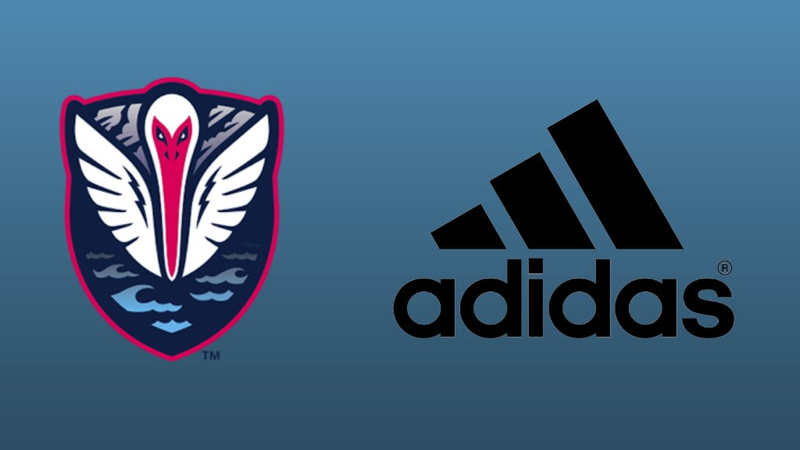 "We're excited to partner with adidas as our official apparel provider as we enter into the professional ranks for the first time,” Tormenta FC Vice President of Soccer Operations Mike Panter said. “adidas has a proven track record across all sports around the world and to have their brand associated with Tormenta FC shows the ambition of our organization. We look forward to working with adidas to realize our club's full potential." Beginning in 2019, adidas will outfit both the Tormenta FC USL League One and USL League Two teams. This includes game-day kits, training gear, footwear and sideline apparel, along with merchandise for all Tormenta FC fans to enjoy. The adidas company is a worldwide innovator in the sports industry, specifically in soccer. The brand offers an array of apparel, footwear and sports equipment for multiple sports. Tormenta FC is in good company as adidas is partners with an impressive range of first-class soccer clients like the Major League Soccer, for instance. “adidas welcomes Tormenta FC to the biggest and best soccer brand in the world,” adidas Soccer Specialty Representative Adrian Brooks said.